I love tongue in cheek parenting quotes and always find it amusing how serious people take parenting. Raising children is an amazing experience and a life long lesson, but there are also parts that you don't expect, parts that make you think, wtf! I didn't sign up for that. 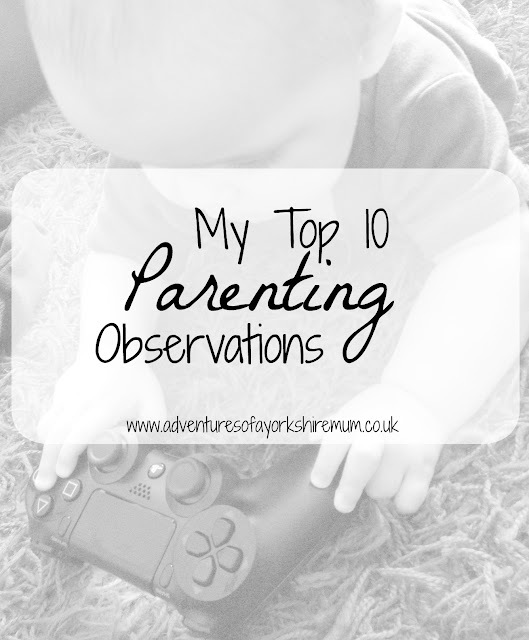 How much patience you have, for instance"
And so today, I thought I would bring you 10 parenting observations from myself after raising 3 children, and how I feel about certain things. Please remember, this is all just a bit of fun, a different look on parenting to keep us all smiling. I find this post a little weird to write. I mean, I'm a mum myself, I shouldn't be writing about what us mums would like. Instead, I should be receiving these from my husband and our sons and then writing about it a few days after, gushing about what they gifted me for Mother's Day. To be honest though, my husband is useless. He regularly checks out my blog to see what I have been writing about and lusting after, just so he knows what to get me. 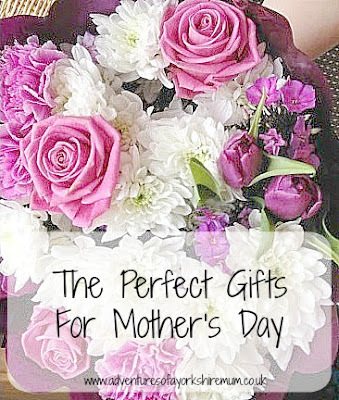 So here is my post full of my Mother's Day must have gifts. I love getting out and about in Yorkshire with my 2 boys aged 5 and 2. There is so much to do and see - from world class museums, like the National Railway Museum in York, to the wild Yorkshire coastline at the East. I've lived in Yorkshire for most of my life, and these are some of my favourite places to visit for family days out. This is a guest post by Jenni who is a first time mummy to Lucas, born in February 2015. She lives with her partner in Lancashire and enjoys writing about their time together over at Chilling with Lucas. 1) Strangers touch your bump, some before asking. After this, they go to stroke your baby's head like they are a pet or doll. 2) Make the most of sleep before you get to six months pregnant because after that the sleepless nights begin. Between being uncomfortable, Lucas moving about and pregnancy insomnia, I think I slept less in the last trimester than when Lucas was a new born. This is a guest post by Erin who is an American now living in Yorkshire with her husband and two Yorkshire Tots aged 4 and 3. She runs Yorkshire Tots, an events and activities website for busy Yorkshire families. One of the things I love about living in West Yorkshire is the fact that there is so much to do here. We have cities, countryside and more than our fair share of great events. One of our favourite things to do in West Yorkshire as a family is to take a walk. We stared when the kids were in front packs and backpacks but now they're scampering along beside us. When it comes to babies, us parents are such worriers. Not even able to let our little bundles be away from us for 2 minutes without having to check on them. I remember when I first had Thomas, I hated going to sleep and would constantly wake up to check that he was breathing! So that's where having a monitor comes in. 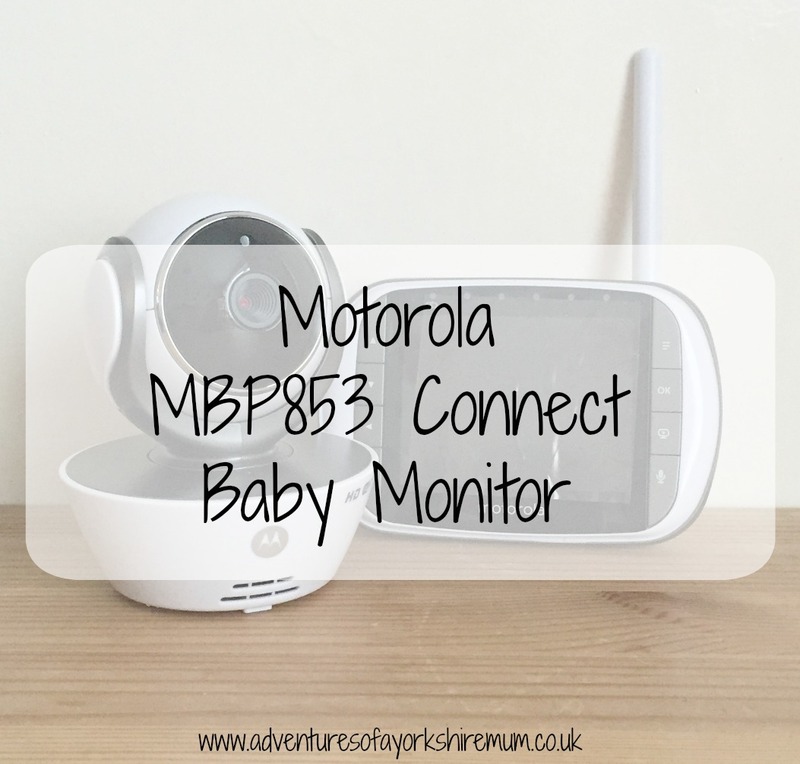 Monitors are great as it means that you can hear if your baby wakes whilst you are away from them, downstairs and enjoying the moments of peace. 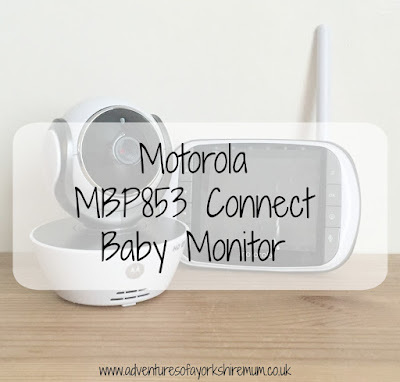 The Motorola MBP853 Connect Baby Monitor goes many steps further than being just a baby monitor though and is quite an amazing piece of kit.